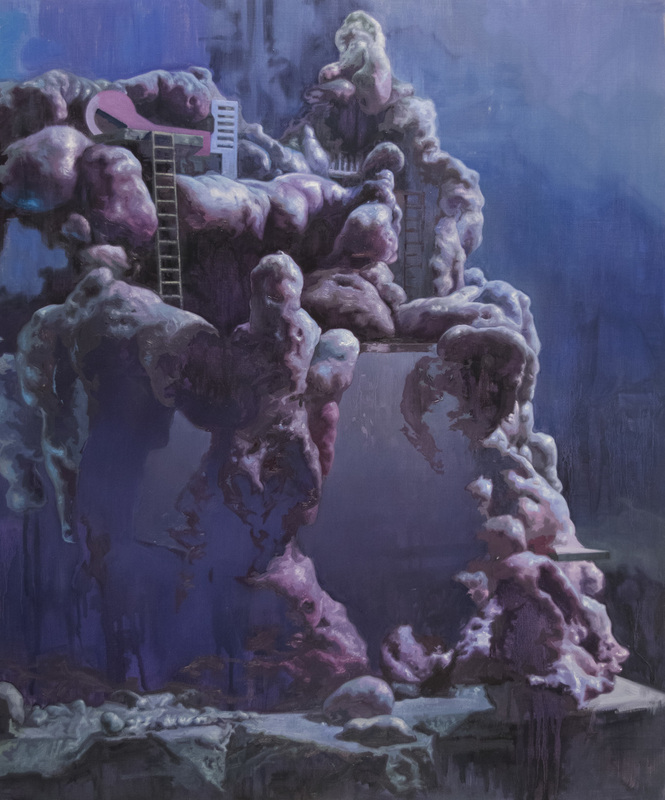 These works call to mind the secret lairs and hidden places often found in childhood stories of adventure; the places where one can retreat to nurture secrets and fantasies away from the judgment and literalism of the everyday world. 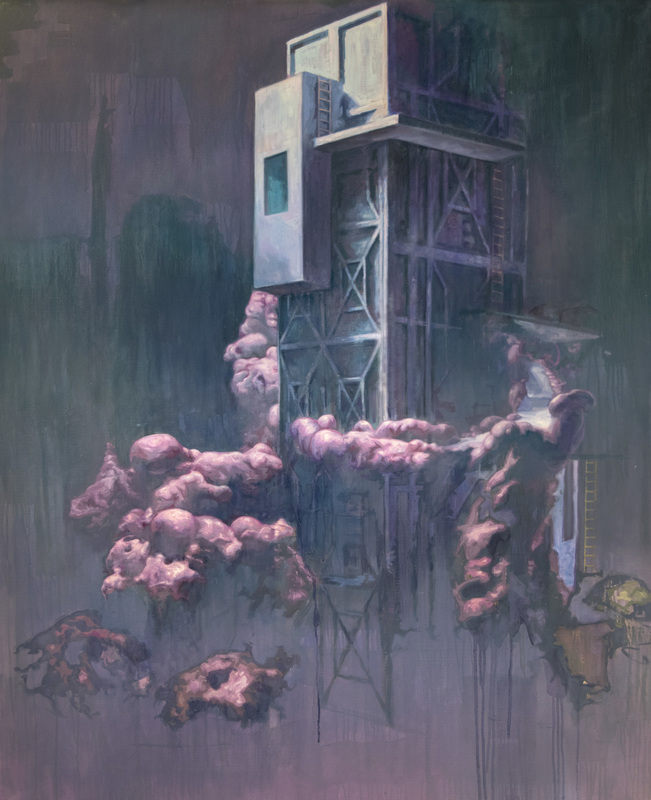 In these works, laboratories, bizarre machines, and winding paths characterize fantastical avenues of exploration, secluded below the earth’s surface far away from responsibilities of the world above. In this vein, the secret lair becomes the literal manifestation of the escapism found in comic books, video games and movies. Here, there is a stillness and vacancy to these spaces as if they constantly await someone’s return. The viewer is invited to enter and explore, but it feels as if we are trespassing; these aren’t our secret lairs. Their owners have long disappeared, abandoning all of their creation to the hazards of nature. The heroic stories acted out within the walls are only recalled as ghosts. An increasing sense of melancholy and nostalgia looms – the seams are showing, and the magic is fading.